Make shopping easier with a Visa® Debit Card from Western Nebraska Bank! The money comes straight from your checking account and each transaction is tracked for you. 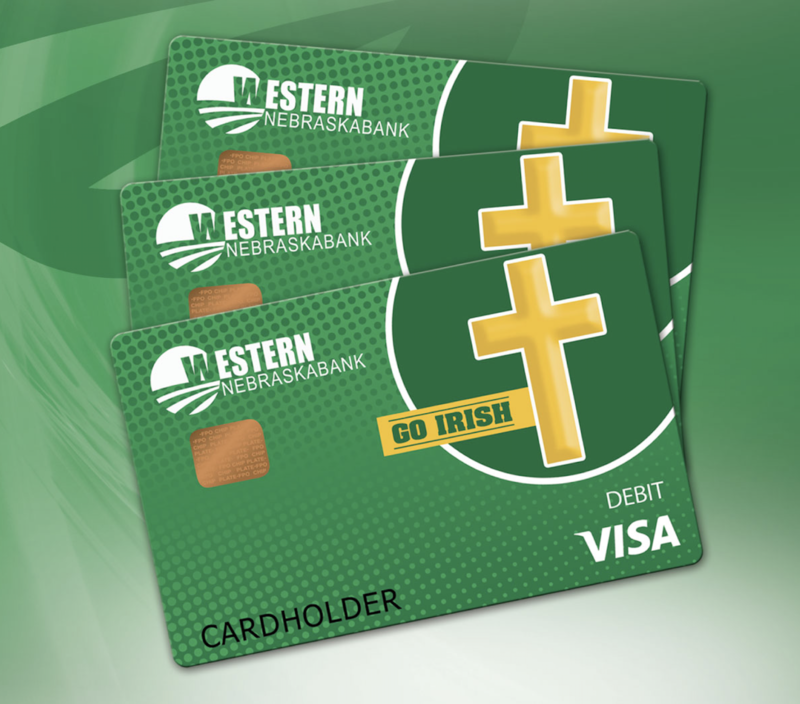 Choose from several designs or select a school debit card. They are a fun way to show off your school spirit and give back at the same time. Every year, Western Nebraska Bank will make a donation to your school, just because you use your card. The more swipes the more we give! Participating schools include but are not limited to North Platte Catholic Schools, Medicine Valley Public School, Paxton Consolidated Schools, Sandhills Public School, and Sutherland Public School. And coming soon you can get the North Platte Public Schools Bulldogs debit card! Come to any of our locations at North Platte, Curtis, Paxton and Purdum today to order your new school debit card. Start swiping today and make an impact. If your card was lost or stolen, call us at 1-800-791-2525. To activate your new Visa® Debit Card within 90 days of receiving it, or to change your PIN, call any Western Nebraska Bank location.